Opening date – March 18, 2019 – Yes let’s get on the river. 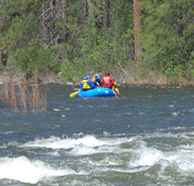 Here is a forecast for river rafting California – 2019 season. This update of our conditions for the rivers is as of April 1, 2019. The situation might change a little with more snow, or if it stops raining in the American river drainage or the Merced river drainage in Yosemite National Park. 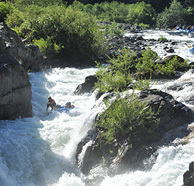 Below is a good estimate of what we can expect for the upcoming season of river rafting in California. – opening date is March 23, 2019. We expect to have high water levels that we have not seen for 10 years through the spring and early summer. At these flows, the South Fork becomes massive, nothing like the normal summertime flows. We will have age limits of 13+ most of the spring until early June. We expect to have way above normal flows into the latter part of June. Come on up and check out this new river, you will not be disappointed. We offer both one and two day trips, with meals and camping on our 2 Day adventures. Middle Fork American – opening date is TBD. With anticipated higher flows for the spring and early summer that will exceed our rafting levels, we are expecting to get back on the Middle Fork sometime in late June or early July. 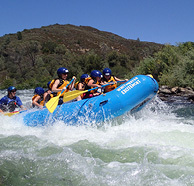 A more than better alternative would be the South Fork, Yes, it will be awesome, or check out the North Fork American river for those having previous rafting experience or very adventurous beginners. The Merced is also a great option for those looking for a more challenging river trip. All spring trips require wetsuits and splash jackets, which our company provides at no extra cost. Our wetsuits fit those under 6’4″ and 250 pounds. Merced River – we will see very good flows well past mid-July for the first time in 20 some years. The first part of the season, we will see very high flows (might even be too high to raft? ), then the river will settle down, only a little though, and last for a long time. Summertime trips on the Merced will last well into July, making this trip possible for those who cannot make it in the spring. North Fork American – like the Merced, the North Fork will have flows well into June for the first time in a very long time. Spring will bring high water levels, again sometimes too high, and summer will settle down a bit and we should be able to raft this river through most of the month of June. The upcoming season promises to be one to remember, with high flows, rivers that normal dry up in early spring, that now will last well into the summer. This will give folks who have shied away from spring rafting due to the cooler weather, a chance to experience rivers like the Merced and North Fork of the American later when it is going to be warmer. Remember, there will be much excitement and anticipation for this spring and summer, and demand will be high. 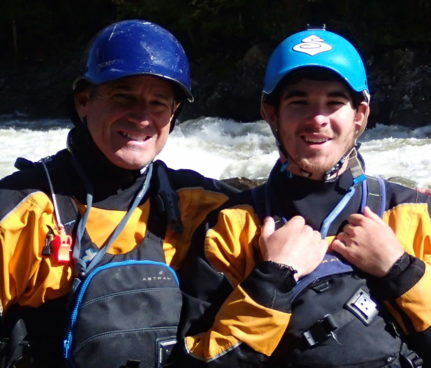 If you are looking at rafting this spring or summer, especially on a weekend day, then I would suggest making reservations very early, as we are already filling up some of our dates.